Some people in Finland may thought that death/doom wasn't enough depressive and demoralizing, so they experimented with something more effective. 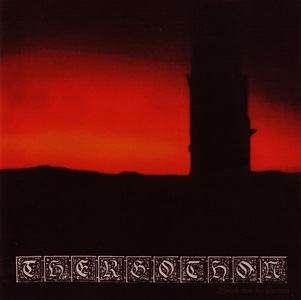 They were Thergothon, the pioneers of funeral doom metal. If we think about Winter or Disembowelment, similar ambitions were not new, but Thergothon was mainly responsible for the birth of this subgenre. For them to slow down so much didn't serve the needed contrast for the more intense themes that came after, it was the center of their concept. They created a unified composition that lately was used as a sample to define this style and counted as an inspirational material. The point of departure was death/doom of course, but by stepping back more into the direction of doom metal. With a strong atmosphere they turned the slowly rolling noisy mass into a whole, and also gave the main melancholic and spiritual impression. The keyboards had strong '80s feeling that always sounds weird on '90s albums and don't really fit to the heavy, noisy themes, but they were used to create some balance. On the side of the tragic oblivion and nature-based lyrics, the influences of horror kept their important role. Not the emotions or the gore, but the heavy letargy is in focus. That was a possible exaggerated way through death doom, and described the basics of funeral doom.